I took leave to prepare for a trip and a talk next week but as usual I got sidetracked with a bake. But I think it is reasonably justified because this bake is a kind of a try-out of recipes that I will need soon. Every year, my workplace holds a fundraiser for an orphanage in Cambodia. 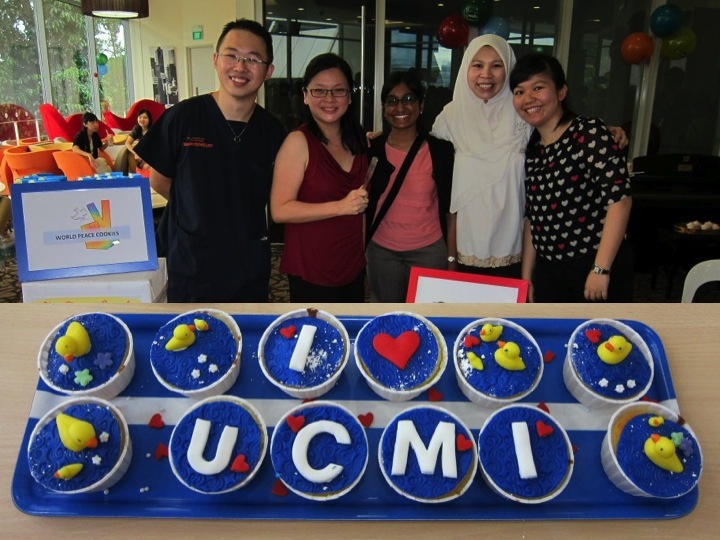 The fundraiser is touted as a Masterchef challenge where teams of doctors and nurses get to bake off with the best cupcakes, cookies and sweets, the time challenge being the decorating of these sweets. When the Paediatric Department Masterchef competition first started I was conned into forming a team. For a couple of months before that I tried out so many cupcake and brownie recipes my cell group friends and family members were gagging with the overload of sweets. We managed to win and afterward I refused to take part in future challenges, partly because it was so stressful but largely because it would have been really embarrassing to lose the following year…I don’t know how the iron chefs do it all the time. Way back when in end Nov 2011. The other part about the Masterchef event is that there is a sale of other food items (a bit like a fun fair) and most people will rush to buy a particular doctor’s cakes and tarts – his bakes have such a reputation for perfection that the stall is cleaned up in double quick time. Regardless most people are on a sugar high by the time the event ends that not very much work gets done on that day. I wangled my way out of the past 2 Masterchef events because it usually clashed with the women’s retreat I am usually involved in every year, but this year the event was a bit earlier and I didn’t really have an excuse not to join in. Luckily the organizers asked me just to provide low carb items for lunch, immediately after which I figured it would be really easy to bake pies and tarts to sell. 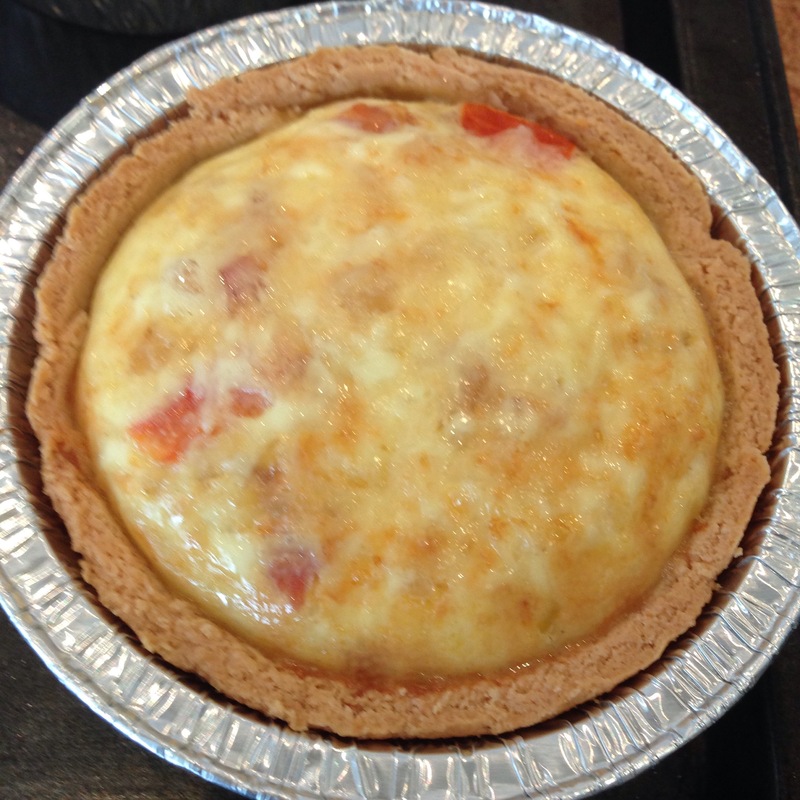 I figured that it would be easier to make small quiches and tarts as it would be sufficient for a lunch portion and probably would be easier to sell than to make a whole large quiche and have to cut it up and serve the slices. I did go through a pie and tart crust phase in my life some years ago – it was a several months-long obsession to train myself to make beautiful tart cases. After finally getting the flour based recipes and techniques right however, one of life’s curveballs happened and I had to switch all my baking to low carb bakes. Quite surprisingly however, there are quite decent low carb tart crust recipes out there; for this bake I used almond meal as the base which actually held up such that I could remove the tart from the case quite easily once it had cooled down. 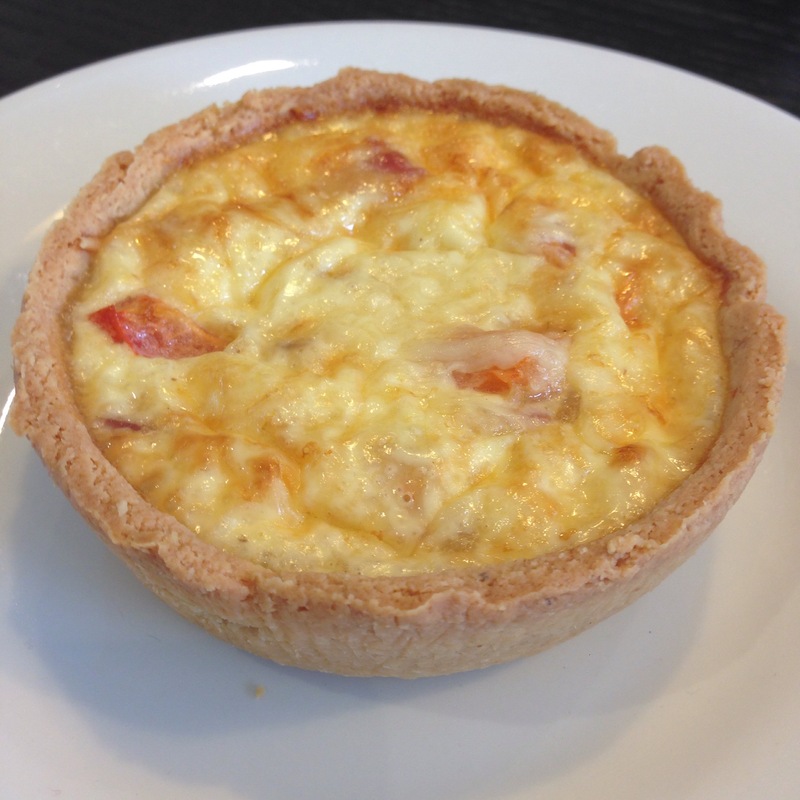 For today I made a bacon, onion, tomato and Emmenthal cheese tart, simply because I happened to have shredded Emmenthal cheese in the fridge, but I would easily use cheddar cheese in its absence. I will probably also consider making a spinach and mushroom tart next or even a cauliflower and cheese tart. Let me know if you have any other filling ideas! I have a month or two more to try out different tart flavours. 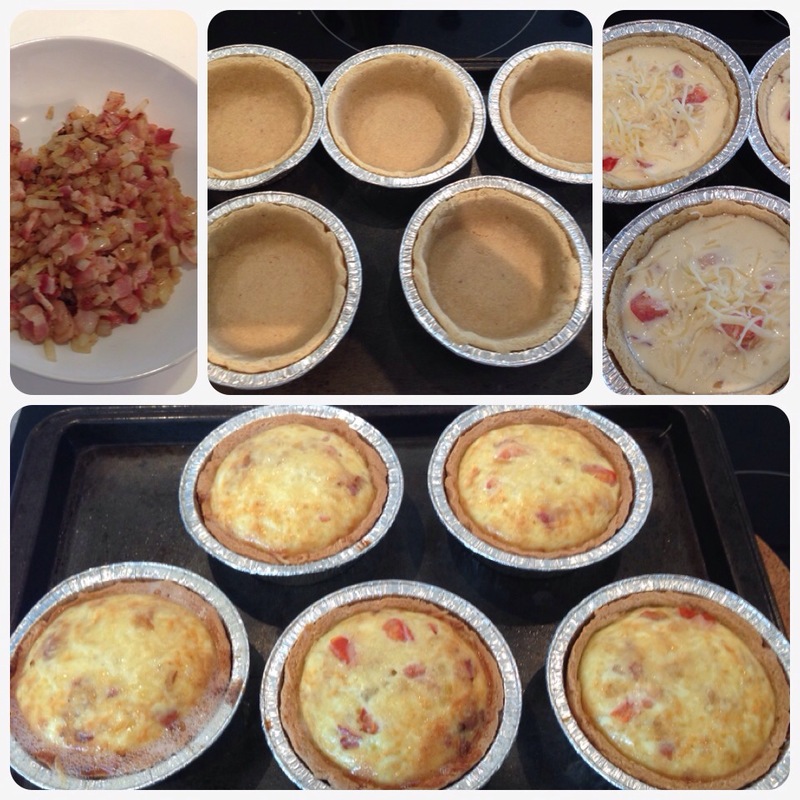 Clockwise from top left: sauted bacon and onions; baked tart shells; filling added with a light sprinkling of shredded cheese on top; fresh out and rather poofy from the oven. Mix the almond flour and salt. Beat the eggs and oil together. Place ingredients into a food processor and pulse till the ingredients are mixed through. Roll the dough into a ball and the roll out between 2 layers of baking paper or plastic bags. Using a large circular cutter cut out the rolled out dough and press gently into tart case. The dough is enough for 5 small tart cases. (I baked these shells open – somehow I didn’t need to line the cases and use pie weights). Place the tart cases on a tray and bake for 8 minutes. Remove from oven to cool. Sauté the bacon on a nonstick pan till it renders its fat. Add onions and continue to fry over medium heat until onions are translucent and slightly browned. Set aside. Mix the cream, eggs and salt in a large bowl. Add the cheese, bacon and onion mixture and tomatoes and mix well. With a ladle, fill the tart shells with the cream filling. Sprinkle a small amount of shredded Emmenthal cheese over top of the tarts. Bake for 30 minutes. Remove from oven. You can serve in the casing or unmould the tart onto a plate. Serve warm with a light green salad.